Stranger Danger…. It’s not just Elementary, dear Watson! 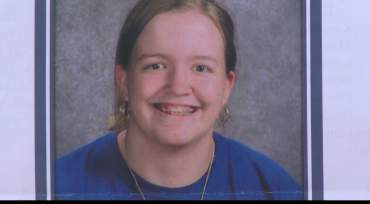 Over a year ago, Kathlynn Shepard was on her way home from school when she was abducted and murdered. This was a stark reminder that Stranger Danger is NOT just a topic to be taught in elementary school and then checked off the list as “done.” And just last week, there was another account of a young adult posing as a movie star to entice young girl teens, but this one had a happy ending with the teen getting away alive. So, how do we help students (with or without special needs) grasp the concept that not everyone has positive intentions? As we work to help students transition to greater independence, this topic cannot be ignored. The one thing this has definitely pointed out is the need to continually remind, review, and reteach these fundamental skills. This does not require a standardized curriculum…. it requires occasional conversations. I came across the blog post below that helped re-frame this concept: the term “Stranger Danger” may not be the most appropriate. Read Sharon Fuentes post to see this from a mother’s point of view, and then start thinking about how you can reinforce these concepts with your children/students no matter how old they are! Like many moms out there, I would put my kids in a plastic bubble and protect them from all harm if I could. I know that as much as I would like to do that, well it is just not the right thing to do. So instead, I do everything I can to teach my kids how to be safe. But what if one of those kids has some special needs? How do I teach my child with autism to trust “THE UH-OH FEELING” and go with their instincts when they have no idea what that means? How do we explain to them to not talk to strangers, and then encourage them to make eye contact, to talk to and even go off alone with a new therapist or teacher? That plastic bubble is looking pretty good right now isn’t it? My boy is 11 and I thought that by now all the years and years of us reading social stories and role playing would have sunken in. I thought he would have understood the concept of Stranger Danger; I was wrong! The other day I watched my boy approach a strange man in a park sitting on a bench who had called him over. The minute it took me to race across the field was pure hell. When I reached my boy and dragged him away loudly stating so the man would hear that “WE DON’T TALK TO STRANGERS” there were tears in my eyes. I thought it could not get any worse, until my boy looked at me confused and very innocently said, “But mommy, he told me his name. He is not a stranger anymore. How will I ever meet any new friends if I do not talk to strangers? Everyone is a stranger at first!” I knew then that I needed to figure out a different way to make my boy comprehend this concept. I also knew that once I did, I needed to share it with you. Below is what I came up with after much research and after many conversations with both my children. It is not perfect, it is not a one size fits all solution to the problem, but it is a start. Read it and then please… TALK TO YOUR KIDS! Safe Strangers, Safe Buildings. Since many of our kids are rule followers, we can use that to our benefit. However, we need to be careful how we do it. Telling them, “We never talk to strangers” could actually be dangerous. What if they get lost, or someone IS trying to hurt them? Some safety experts point out teaching children that a police officer is the only person they can reach out to for help is not a good idea as one may not be around when a child is lost or needs help. Instead children should be taught that if they are lost, they should find a store and ask a clerk behind the cash register or someone in charge for help, or ask a mother with children. The Never, Never Rule. There is one rule that we CAN and should install that can help keep our kids safe. Fitzgerald calls it the NEVER NEVER RULE. I have my own Never Rule too. I will NEVER EVER just assume that my kids get it. I will continue to revisit the idea of “TRICKY PEOPLE” often. I hope you will too.